man made snow on top of the natural based received earlier in the season. 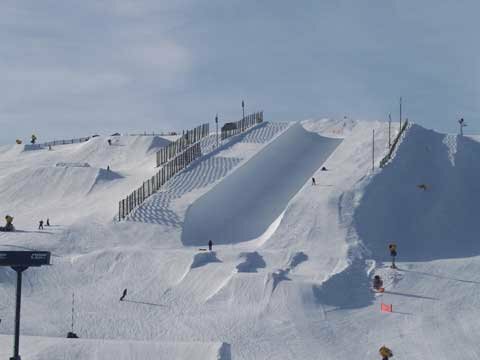 superpipe, cut to perfection by Snow Park's world-class pipe shaper Frank Wells. of the world's top halfpipe riders, including 8 national Olympic teams. riders as it is vital to the progression of all winter sports. features" comments Snow Park general manager, Sam Lee, 26.
produce some awesome surprises when it comes to new and exciting terrain.